Difficult people are everywhere. Although they are in the minority by far, when they show up they add stress to your life. The stress is even greater when you are confronted by them on the job. Students, teachers, and administrators can all potentially prove difficult. If this happens you want to have the skills to manage your emotions, sometimes deal with their emotions, and keep things on an even keel. 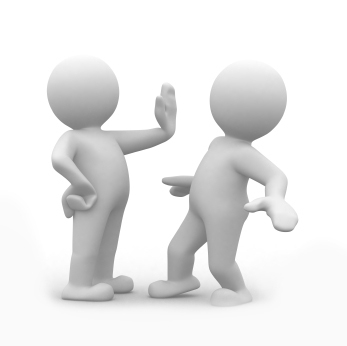 When you encounter difficult people it’s important not to react or you will get sucked in and the confrontation will escalate. Students are the ones who are most frequently difficult. Every place has some so the idea is to be able to reduce the numbers. Take a proactive position with those students who are misbehaving upon entering the library. The likelihood is that something set them off before they arrived. Saying things like “Calm down, you’re in the library” don’t work. Has anyone ever calmed down because they were told to do so? They might not know how to get themselves under control from the place they’re in . Instead, you might say, “I can see you are very upset. Did something happen? 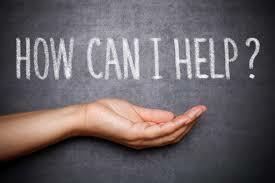 Can I do something to help?” Speaking in a friendly tone can interrupt what is boiling inside. If you can reduce their anger level to a simmer you have a much better chance of things going better moving forward. Will it work every time? Definitely not, but it’s a tool to keep in your arsenal. 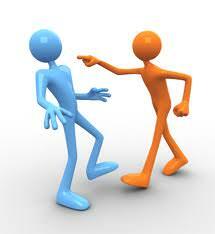 Disruptions in the middle of the period (or class) are usually caused by one student aggravating another. If you don’t respond quickly, a fight can ensue and then you have a major problem to deal with. Identify both “culprits” and move to separate them. If possible give them different tasks to do to keep them occupied with something more positive. Exiting the library is another point when students can get out of hand. Having a standard procedure in place minimizes these occurrences. Using exit tickets is one strategy that helps. Asking a few quick questions related to what they did in the library is another. Having the library be a safe, welcoming environment for all is a core part of your responsibilities. While I know some schools are more volatile than others, keeping the number of confrontations down, will help you achieve that goal. Teachers and administration present a different type of challenge. You need to strive to have at least a professional relationship with them. The library is for everyone, and you don’t want to create distance between you, the library program and them. That being said, there will be some teachers who are known for being confrontational. When you feel you are being attacked, the natural response is defense. Once you go there, the exchange usually gets more heated. Many years ago, I started a new position in a high school library with a good-sized staff, including a co-librarian, 12-month secretary, 10-month clerk, and a circulation clerk. (It sounds unbelievable today.) It was in the early days of automation and, at the time, you could only use numbers on barcodes. My first thought was, “How is this my fault? I am here only a few months. This has been in place for years.” Instead, I responded, “I understand your reasons for being upset.” I said we would immediately change her barcode to the last five digits of her social security number, “return” all her books (she had quite a lot in her classroom) and recheck them out. We would change the other teachers’ barcodes at the end of the year. Had I said what I was initially thinking, the situation would have become worse, and I expect the principal would have become involved. By validating her anger, I defused much of it. She was mollified and eventually became one of the biggest library supporters. I handled a similar but, in some ways, a more challenging incident with an assistant superintendent. He was highly intelligent and known for “shooting from the hip.” He never pulled his punches. As the leader of the district librarians, I was speaking to him about trying to pilot a flexible schedule in the elementary schools. He angrily said he had observed one librarian showing a filmstrip (and it was on the way out even then) about how books were made starting from a tree. It seemed to him that a teacher could have done the same thing and what would be different about making the schedule flexible. To calm things down, I responded to his message, not this method of delivery. I told him I recognized his point. My solution was to talk about effective lessons at the monthly librarian meetings I led. While I never got the flex schedule for that level, I did earn his respect and overall value for the work we did. If you’re having trouble with someone, take a breath before responding. Focus on how you can help the situation not on how you need to fix the person. Hopefully, some of your more difficult people will eventually become allies of your program.